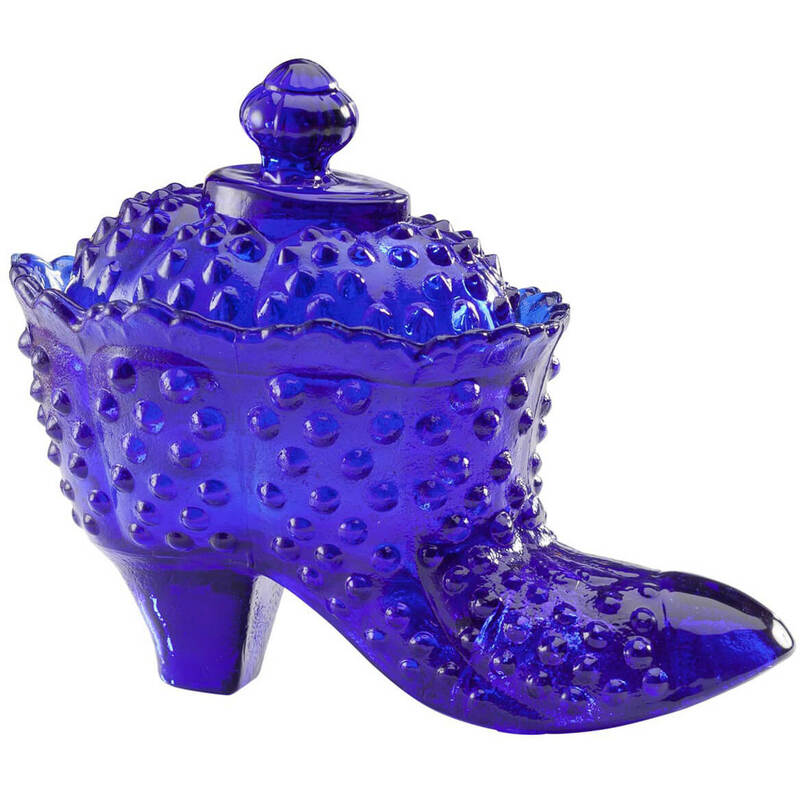 This sparkling cobalt blue glass hobnail shoe candy dish is detailed like an heirloom keepsake with nostalgic hobnail pattern. Candy dish is dishwasher safe. 6 1/4″ long x 3 1/4″ wide x 5 1/4″ high. 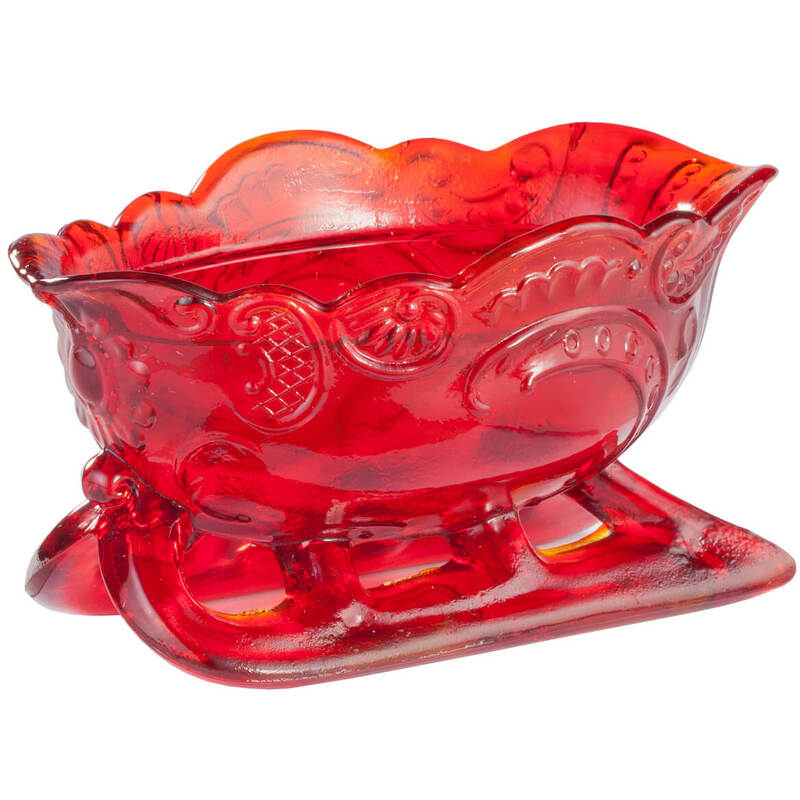 Red glass rooster candy dish is a nostalgic treasure. 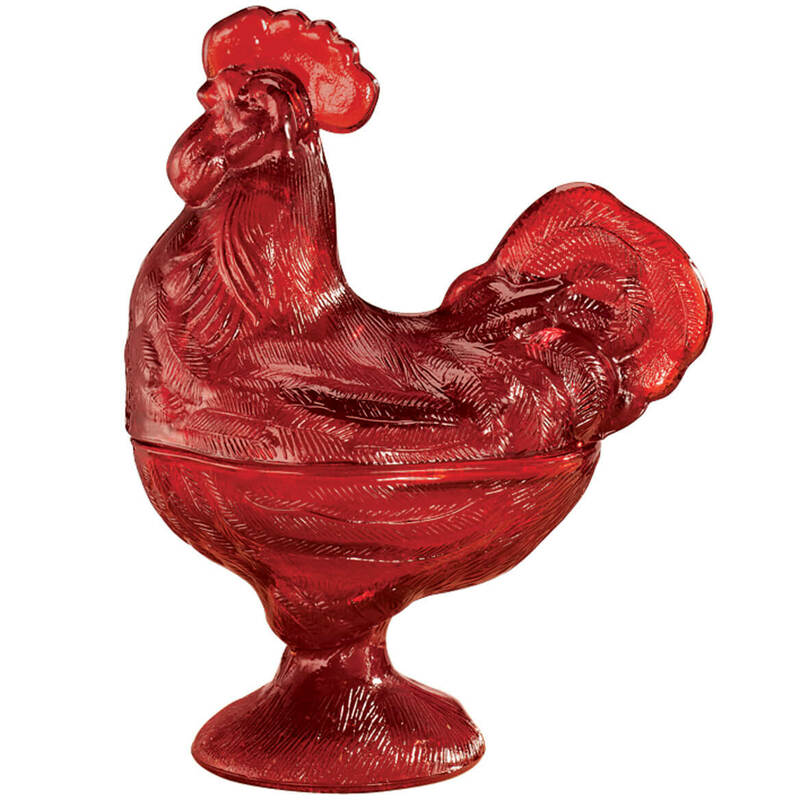 Glass rooster candy dish in shining red Depression-style glass may remind you of sneaking treats from a candy dish like this, back when Grandma had one on her coffee table. Pedestal base and detailed rooster lid—serving candy or nuts in brilliant style! 6 1/2″ long x 4″ wide x 8 1/2″ high. Dishwasher safe. Whether serving pretty candies or presented as a lovely hostess gift, our sparkling, red glass sleigh candy dish makes sweet holiday memories! Features intricate scroll pattern, scalloped top and sturdy sleigh base. Dishwasher safe. 5 1/4″ long x 3 1/2″ wide x 2 1/2″ high.